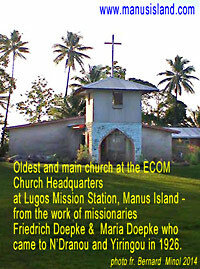 This week is a sad one for Manus Province and all Manusians as we mourn the passing away of great Manus character. As a kiap and a high government official Bernard Borok was the supreme diplomat. He was a friend to all he served and worked with and was enemy to none. The news is still not very clear at the moment but I understand Bernard passed away on Wednesday 5 February at the Lorengau General Hospital. I also understand a state funeral is being arranged for him in Lorengau before he is laid to rest. Our condolences go to his family and loved ones. Question: Where did the name "Manus" come from? 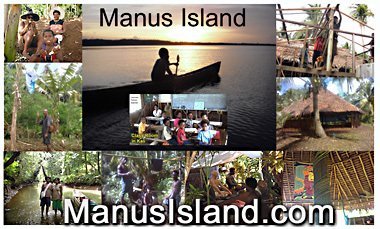 "To the best of my knowledge from my previous understandings and refering to anthropological books, the name Manus is a traditional name for a group of fishing people who inhabilt coastal areas of Manus Island. 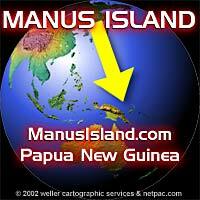 The name Manus differentiates them from other groups with differing customs and languages. 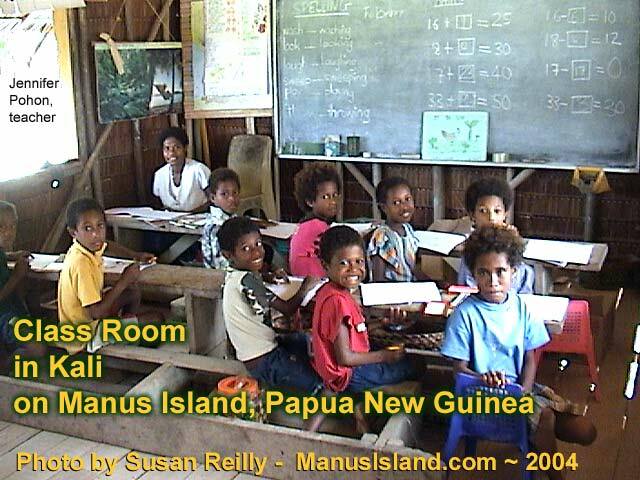 Margaret Mead, the anthropologist, in her book Growing up in New Guinea stayed and studied Manus people. There is also a book put out by the Alfred Buhler collection, Museum der Kulturen, Basel, called An Ethnology of the Admiralty Islanders which also may be of interest. · 2007 News - 10 room guest house in Lorengau, Kali undergoing guest house on Kali Island is closed for extensive renovations. · Diaspora - where in the world? · The Editorial Reference Group for this website is made up of respected Manusians and friends of Manus and PNG who have served the province and country as teachers, librarians, university professors, medical-health professionals, politicians and web publishers. On Copyright: multi-media content on this web site (articles, stories, photos, graphics, and other materials) remains the property of the original/licensed creators of the materials on this site unless otherwise noted.